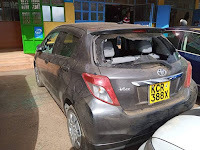 Tuesday, April 16, 2019-There was drama in Thindigua Kiambu County after a jilted man smashed the windows of his mpango wa kando’s Toyota Vitz after finding out that he has been cheating on him. 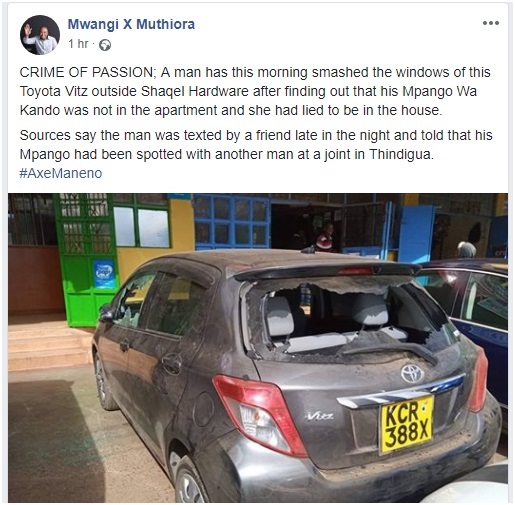 The man visited his mpango wa kando’s apartment hoping to have a nice time with her. When he arrived at the apartment, he found out that she was not around. He was texted by a friend that he had seen his mpango wa kando with another man late in the night having good time in a local joint with another man. 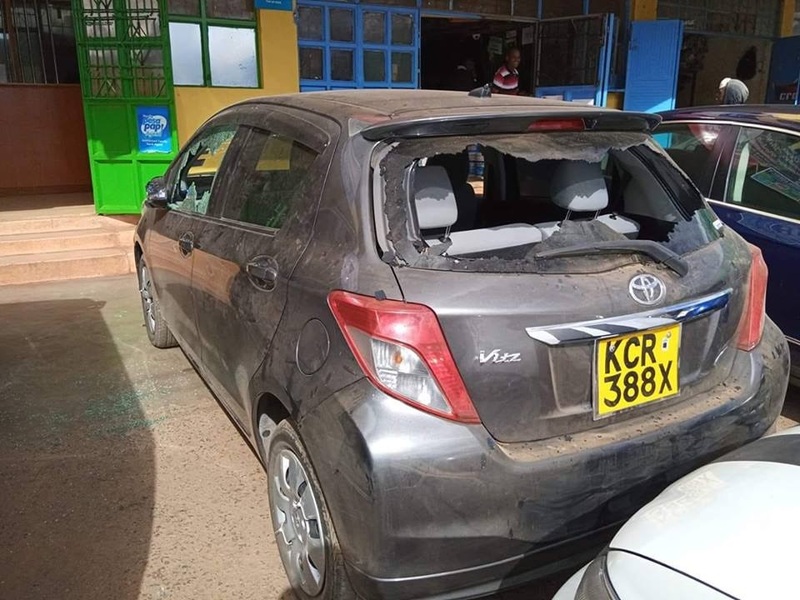 The angry man smashed the windows of his mpango wa kando’s Toyota Vitz to teach her a lesson for cheating on him. He had bought the car for her.